The wait is over and so, finally it is here. 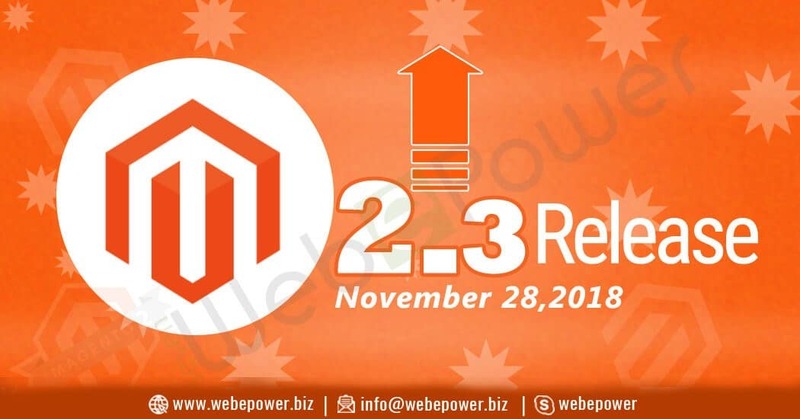 Magento 2.3 , the most awaited version of the year. It is obviously better than Magento 2.2 because of the powerful and fresh features it brings to the table. It is certainly a bane for Magento developers whose tasks will definitely get easier and they will be able to build better front-end and back-end of e-commerce stores. Great! Magento 2.3 will be completely compliant with the features of PWA (progressive web app). As you may know, PWA will be a key thing in any developer’s mindset from now on. 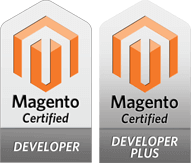 To implement it, Magento has been going ahead beginning with the development of PWA Studio – a comprehensive suite of tools that allow you to develop, deploy and maintain a PWA storefront on Magento 2. So, let us understand what is PWA. Graph QL opens up data retrieval possibilities for PWA by allowing a user to request exactly the data that you need and also giving the ability to join data in a single request. To keep it short, you can efficiently get more data in a fewer API requests. So, using Graph QL allows a Magento PWA to be quick and efficient even on slow networks. This version of Magento will follow the declarative database schema, allowing developers to define database structures and changes in XML files, instead of defining within install scripts. Magento 2.3 will convert the XML schema files into SQL statements and execute them. Doing this, will be very beneficial for Rollback Support which means taking the database to a previous defined point. It enables to process a large number of API requests asynchronously without waiting for the response from the server. It gives you the ability to accomplish batch processing with smoothness which is a huge plus point for big websites with regular huge volumes of API requests i.e. inventory imports, order status updates from the ERP systems etc. This will be a huge time-saving benefit for Magento e-commerce which heavily relies on data import through API’s. Elastic search is a search power working on the base of the Lucene library. It comes powered with a distributed, multi tenant-capable, full-text search engine comprising an HTTP web interface and some schema-free J SON documents. Elastic search is built in Java and is released to the developers as open source under the terms and conditions of the Apache License. It is a powerful and recommended search tool for searching in e-commerce websites. Compliance for PHP 7.2 will be added in Magento 2.3. This will permit Magento 2.3 e-commerce stores to stay abreast of the latest supported technologies. So, now let us understand what magic the PHP 7.2 version will bring about. It will bring new development features, enhanced performance and better security. MSI allows merchants to look after all inventory sources without any alien extensions or platforms. This functionality empowers stock management in different locations so that merchants can properly reflect their physical stores in Magento 2.3 system for fulfillment purposes. It clearly means a better coordination and synchronization amongst multiple inventory sources. WYSIWYG editor is upgraded which will make the store development much easier and smoother. It brings new and better features for a highly customization WYSIWYG: Widgets, variables and media gallery are executed as plugins and can be defined everywhere or on a per shop instance. The Page Builder function permits the merchants to create customized pages without any need to write code. In fact, this function is the simply the cumulation of current simple drag-and-drop interface based on the revised Blue foot CMS extension. It means it will be easier to build pages than ever before. In granular cache management ACL, you can control exactly which user roles can view and delete the Magento caches. In this way you can control how each and every user can handle cache management. Magento 2.3 also adds google reCAPTCHA and two-factor authentication to protect against malicious attempts to access your Magento admin panel. This additional punch of security has become a trend among many web applications. It is an advanced 2 step security feature to distinguish humans and bots and keeps your Magento login secure. So, what are you waiting for? Contact us immediately and get the latest fully equipped Magento 2.3 e-commerce store and get your online business flying sky high. We would definitely deliver you the best with our vast experience and certified Magento developers, who will turn your ideas into reality.